For NYC parents of preschool-aged children who have special education needs, transitioning to kindergarten can be overwhelming. The experienced team of attorneys at Skyer Law have guided thousands of clients through this stressful “turning 5” process. Founding partner, Regina Skyer, literally wrote the book on How to Survive Turning 5. 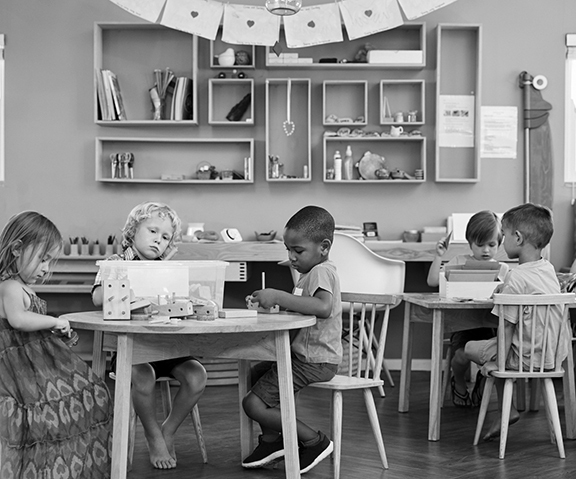 This workshop will explain your legal rights, placement options, and share strategies on how to successfully position yourselves for an appropriate kindergarten placement. Gregory Cangiano, a partner at Skyer Law, has been an attorney with the firm since 2006. Greg was inspired to pursue special education law because of his mother, a guidance counselor whose life’s calling was working with special needs children. Greg earned his bachelor’s degree at SUNY Binghamton and graduated with honors from Touro Law School in 2006. As a law student, he worked (pro bono) with the Long Island Advocacy Center, an organization dedicated to protecting the legal rights of students and individuals with disabilities. Greg is passionate about empowering parents and educators in the IEP process. From 2008-2012 he served as an adjunct professor at Bank Street College of Education teaching a graduate course, Communication and Collaboration: What the Law Intended. He designed this course to explore how the Individuals with Disabilities Education Act (IDEA) demands school districts to work cooperatively in the development and implementation of IEPs. Diana Gersten is a partner of the firm and has been with Skyer Law since 2004. Diana has always been passionate about pediatric mental health. In her first career as a school psychologist, Diana conducted psycho-educational evaluations, consulted with teachers, and designed behavioral intervention plans. While at Brooklyn Law, Diana worked at the Children’s Law Center, an organization that represents the interests of children in Family Court and in the Integrated Domestic Violence Parts of the Supreme Court. After graduating from Brooklyn Law School, Diana briefly worked as an attorney in the Appellate Division, Second Judicial Department for Mental Hygiene Legal Services, the oldest and most comprehensive legal advocacy program for the mentally disabled in the United States. In addition to her own caseload, Diana does many initial client consultations, assigns new cases, and manages attorneys. Because of her clinical background, she has particular expertise in reviewing reports and assessments in order to recommend appropriate programs and placements.